With so much cross over nowadays, in terms of viticultural and winemaking techniques, it is getting harder and harder to find unique wine styles. Burgundian look-a-like Chardonnay is cropping up through-out Australia. German Rieslings are getting drier and more alcoholic, especially in the warmer sub-zones, making them harder to differentiate from Alsace. To make matters worse (from the point of view of a Masters of Wine student), popular grape varieties – think Syrah or Sauvignon Blanc – are being planted all around the world. 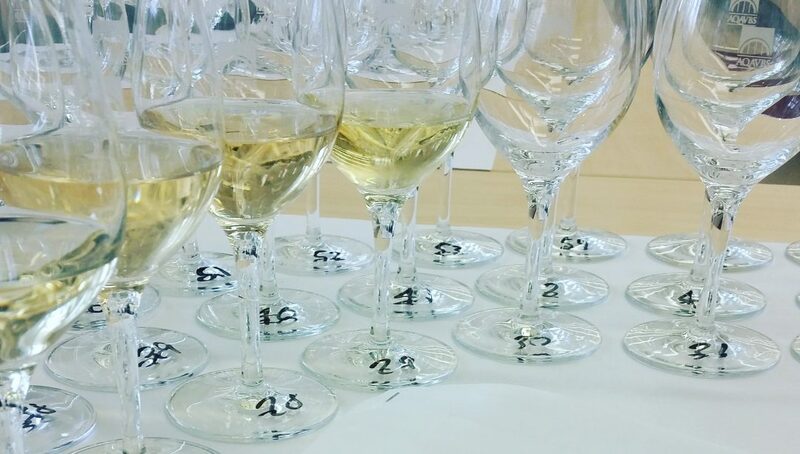 Deducing the origin of a wine in a blindtasting scenario has never been so complicated. So when you (the wine student) are handed a glass of inky, dense, full-bodied red wine, with a heady fragrance of stewed black fruits, figs, kirsch, peonies, and spice, you find yourself smiling. For Amarone is truly a wine apart. A dense, full-bodied red wine, with a heady fragrance of stewed black fruits, figs, kirsch, peonies, and spice. Hailing from the Valpolicella region of Northeast Italy, Amarone is a very specific wine style. It is made from the same indigenous grapes as Valpolicella, but from the best vineyard sites featuring mature vines and lower yields. Harvested at optimal ripeness, the grapes are then left to shrivel in warm, ventilated drying lofts for several months. For more information on this special process, called appassimento, click here to read my article “Valpolicella 101”. Once the grapes are deemed sufficiently raisined, they are lightly crushed and then macerated at cool temperatures for an extended period prior to fermentation. This “cold soak” process allows good colour and aromatic development without excessive tannin extraction. A long, relatively cool fermentation follows bringing the wines to near dryness, with warming alcohol levels, regularly surpassing 15%. Amarone is a very specific wine style…from the best Valpolicella vineyard sites featuring mature vines and lower yields. An extended ageing period follows in small barrels or large oak casks whereby tannins mellow, wines harmonize, and aromatic complexity heightens. This is where “tertiary” aromas and flavours like fig, leather, or earthy notes originate. On a grey, blustery day last month, I pulled the hood of my parka tightly about my face, and trudged through the snow to a very worthy event. The 13 Valpolicella estates that make up the Famiglie Storiche were in town presenting a vertical tasting of Amarone. This group of prestigious, family-owned wineries share a passion for Amarone as a symbol of the Valpolicella territory. They hold themselves to a higher standard of quality than is required for the appellation. The aim of the Famiglie Storiche estates is to show the world just how impressive Amarone can be when produced to the highest quality standards. They believe that the finest, Amarone-worthy vineyards are situated on slopes. These hillside vines receive more direct sunlight, allowing for optimal ripening. 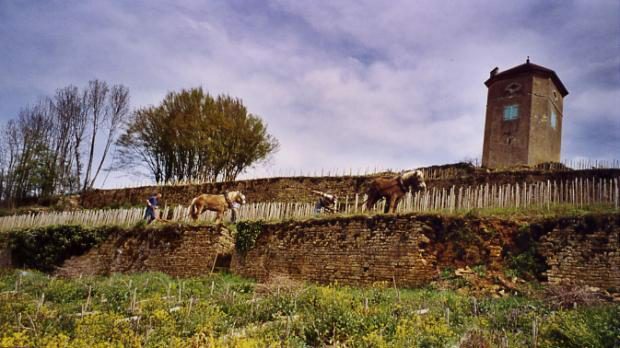 Furthermore, these sites have shallow soils that limit vine vigour, lowering grape yields, and thus giving wines of greater concentration and intensity. Grapes are left to ripen to a minimum potential alcohol of 15%. The appassimento period is longer, and the minimum oak ageing duration is 36 months (vs. 24 months required for basic Amarone). 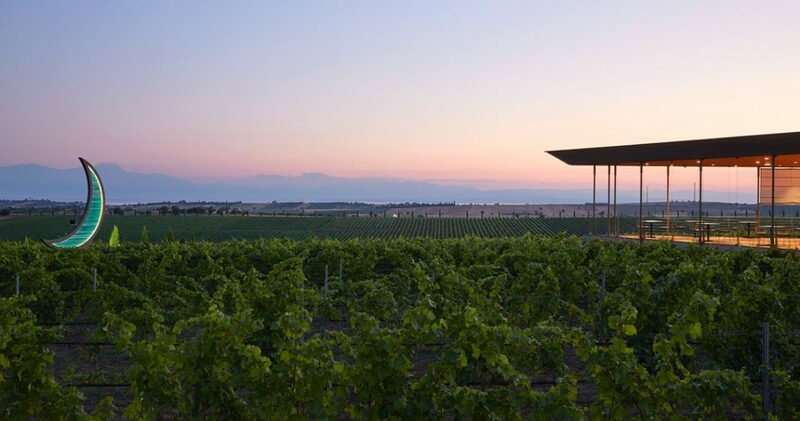 The aim of the Famiglie Storiche estates is to show the world just how impressive Amarone can be when produced to the highest quality standards. The Montréal tasting spanned vintages from 8 to 20 years-old, and ably proved how age-worthy fine Amarone can be. The stand out wines of the tasting for me were the following. For the ultimate Amarone evening, scroll to the bottom for a great local recipe. A modern, opulent style of Amarone with lavish new French oak nuances (cedar, sweet spice), and a dense, yet velvetty texture. Ultra-ripe dark cherry and plum fruit feature on the nose, underscored by notes of dark chocolate. Fresh, full-bodied, and moderately tannic, with well-integrated 15% alcohol. Hints of tobacco linger on the finish. Classico is a term used in many Italian vineyards referring to the historic growing area of a region, from which the vineyards spread outwards. The Classico sub-zone is generally considered the “heart” of the appellation, often consisting of the best vineyard sites. Masi’s dark, brooding Costasera 2007 is still incredibly youthful, featuring vibrant acidity and a tightly knit palate structure. Elegant, complex aromas of peony, rose, dark fruits, and cocoa delight on the nose. The mid-palate shows great depth of flavour, with meaty, savoury nuances adding interest. The tannins, while polished, are still quite firm. Needs a few more years cellaring to mellow and integrate further. Riserva refers to wines aged longer before bottling. The minimum duration for Riserva status is 4 years (vs. 2 years for basic Amarone). Intense aromas of licorice, red cherry, blueberry, plum and dried fruit feature on the nose. The palate is highly concentrated, with a velvetty smooth texture, and perfectly balanced acidity. Very firm, grippy tannins frame the finish. This bold, weighty, warming red needs an equally hearty meal to do it justice. Intriguing aromas of prune, licorice, tobacco, and pepper gain in intensity upon aeration. Fresh, and full-bodied, with a moderately concentrated core of sweet dark fruit and savoury hints. Moderately firm, powdery tannins diffuse across the palate, framing the finish nicely. Drinking well now. A massively structured red, with a dense, richly textured palate profile. Brimming with blueberry, cherry, fig, mocha, sweet spice, and tobacco notes, this is an incredibly complex, fragrant wine. The whopping 16% alcohol is seamlessly integrated, as are the firm, ripe tannins. Drinking well now, with the power and depth to hold for several years yet. Dried fruit, herbal notes, roasted nuts, and mineral nuances feature on the nose of this 20-year old beauty. Still very fresh, and firm on the palate, with a layered complexity of prune, leather, and tobacco flavours. Overall, a very harmonious, well integrated red with a powerful, concentrated nature, and lengthy finish. Drink now before freshness fades. Amarone should be opened several hours before serving, and decanted if possible. I prefer it chilled down a couple of degrees. The alcohol can feel quite hot on the finish if served too warm. While dining in the Valpolicella region a couple of years ago, I was served the most decadent meal, with a fine Amarone. It was a rich, savoury risotto, made by replacing the majority of broth with Amarone wine. It is absolutely delicious, but remember… a little goes a long way! For your drinking pleasure on this chilly first week-end in December, I offer a mixed bag of under 20$* whites & reds! My apologies for the extended blogging hiatus…a gorgeous little baby named Charlie is my excuse. He has graciously agreed to start sleeping for more than 2 hours in a row, so I should be back to inundating the web with my wine musings shortly! * Okay, I added one over 20$ red…but it is worth every single extra penny! Viognier and Roussanne predominate in this highly textured, fragrant, full-bodied white. Aromas of white peach, yellow apple, ripe lemon and acacia feature on the nose. The medium weight palate offers a lovely freshness, concentrated stone fruit flavours and spicy oak nuances. The finish is long and layered. This is an absolute steal at under 20$. This is a clear step up from the majority of thin, neutral Pinot Grigios flooding liquor store shelves these days. Suprisingly fragrant, with yellow apple, quince and ripe lemon aromas. Crisp and dry on the palate, with a subtly creamy, layered texture, and interesting savoury nuances on the moderate length finish. Great apéritif wine. 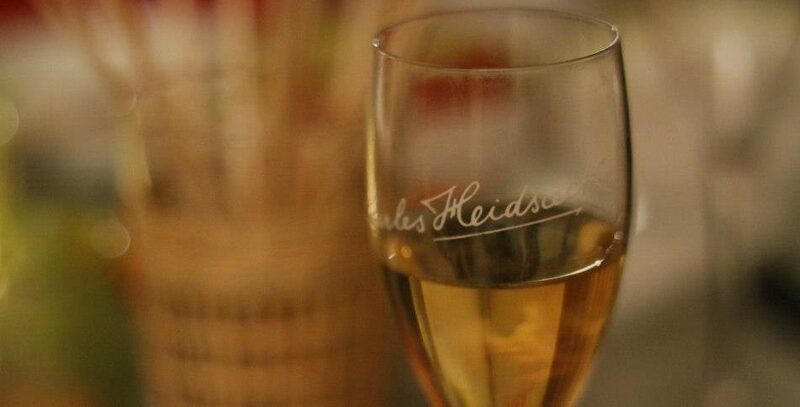 If you haven’t discovered the wines of Alsace yet, you are missing out! While not considered a “noble grape” in Alsace, well-made Pinot Blanc is often lively and rounded, with pretty orchard fruit aromatics, a subtle smokiness and an attractive, ever-so-slightly off-dry finish. Gustav Lorentz “Réserve” ticks all the boxes, with nice depth of ripe citrus and apple flavours on the smooth, medium weight palate. The finish is faintly honeyed, balancing the fresh acidity nicely. Inviting nose of ripe dark fruit and red cherries, with floral and spiced hints. Moderately firm on the palate, this medium bodied Douro blend displays lovely freshness, powdery tannins and a dry, lifted finish. A quarter of the blend is matured in used barrels, rounding out the structure and bringing a subtle earthiness to the mix. Fantastic value for this highly versatile, food friendly red! If you love juicy, fragrant, silky textured red Burgundy (but have stopped buying them due to the scary prices these days) this wine is for you! The nose is subdued, with moderately complex earthy, red berry and tea leaf notes developping upon aeration. The palate, however, is wonderfully vibrant, brimming with tangy red fruit. Medium bodied, with well integrated spicy, toasty oak. Moderately firm, fine-grained tannins frame the dry, lengthy finish. Alain Brumont is a force to be reckoned with. This is evident from the moment he begins to speak; from his commanding tone to his broad Southwestern French accent. He has worked tirelessly through out his career to bring the wines of a little known vineyard to the world stage. 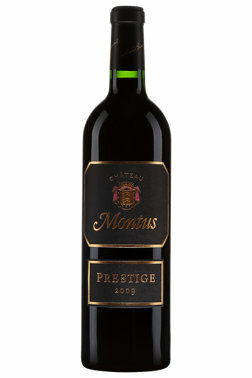 His estate, Château Montus, is better known in many wine circles than Madiran, the appellation from which it hails. I had the pleasure of meeting Alain and his charming wife Laurence at a wine dinner in Montréal this past May. Seated beside him at table, I listened with rapt attention to his views on his region, his winemaking philosophy and his many passion projects. Brumont is the quintessential “self made man”; a concept so dear to us North Americans. He left school at the tender age of 16 years-old and laboured in his fathers’ vines for a number of years before taking out a loan, on his own, to purchase Château Montus. Today, he crafts wines not only from his four properties in Madiran, but also from his négociant activities in the Côtes de Gascogne. Brumont believes strongly in sustainable agriculture, though he doesn’t feel the need to seek out certification. His flock of sheep fill the vineyards in winter and nearby pastures in summer, providing an abundant source of natural manure. ‘We use no other form of fertilizers in our vineyards’ states Brumont with pride. The climate in Madiran, Mediterranean with Atlantic influences, is ideal for grape growing, providing mild springs, optimal sunshine and tempering, cool breezes. With such optimal weather conditions, Brumont asserts that it is a relatively easy thing to limit vineyard treatments and work with minimally invasive products. The same low interventionist methods are employed in the cellars. ‘Our wines are never acidified or chaptalised’ says Brumont. In fact, he is working towards a zero entrants policy for his wines. Stringent cellar hygiene is a major part of this. ‘Our equipement (pumps, hoses, etc.) are washed with 300°c vapour before each use and inerted with nitrogen gas’. Lowering bacterial and oxidative risks allows sulphur levels to be sharply reduced. These practices in vineyard and cellar all stem from one overriding goal: to create the best quality wines possible, that reflect the best of their terroir and their grape. The star variety of Madiran, Tannat, is often derided as yielding rustic, overly tannic reds. With his many years of experience, Brumont has learned how to harness this powerful nature, creating full-bodied, long-lived yet suave wines that delight critics world-wide. ‘I only use the free-run juice for my reds’ he explains. ‘The muscular tannins come from the pressed grapes”. Brumont’s ‘trash’ is another man’s treasure, as the dark, tannic press juice commands a good price on the négociant market, to beef up blends from other regions where the dominant grapes are lighter in body and structure. The desire to craft wines that, while still powerful, are approachable in their youth, stems from Brumont’s love of food and wine pairing. Every day, at Château Bouscassé, Alain and his team dine together at mid-day, often inviting visiting guests to join them. So great is his interest in all things gastronomic that Alain is currently investing in a project to raise Noir de Bigorre pigs famous in the region for their fine hams. The Madiran appellation is exclusive to red wines. Local producers grow their white grapes in the neighbouring vineyard of Pacherenc du Vic-Bilh. 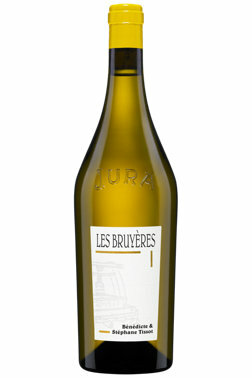 Dry and sweet whites are crafted from the local varieties: Arrufiac, Manseng, Courbu, Sauvignon, Sémillon. 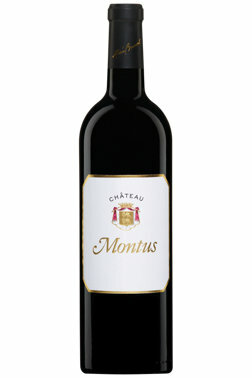 Brumont uses the little known Petit Courbu as the dominant grape in his Château Montus Blanc. Aged for over 2.5 years in 600L barrels, this vibrant white features attractive toasty, stone fruit, floral and spiced notes on the nose. 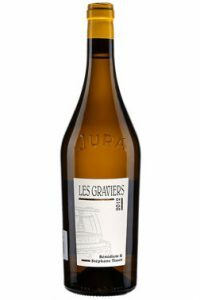 Crisp and lively on the attack, with a full-bodied, creamy mid-palate and a pleasant, slightly bitter grapefruit pith note on the long finish. This is a very stylish white for the price. Opaque, deep ruby colour. Intense, ripe dark fruit aromas underscored by floral notes and hints of earth and cedar. Vibrant acidity offsets the big, brooding structure of this as yet tightly knit red. The mid-palate reveals lovely concentration of dark fruits, cocoa and coffee. Firm, chewy tannins and well integrated cedar oak frame the persistent finish. Decant several hours before serving. The Tannat vines for this cuvée were planted between 60 and 100 years ago, and yield small quantities of incredibly concentrated fruit. The 2006 vintage was aged 2 years in barrel, followed by a further year in large oak casks. The result is highly complex wine, offering ultra ripe black fruits, hints of dried flowers, citrus peel and cedar on the nose. Upon aeration, attractive mocha notes come to the fore. Bright acidity gives way to a dense, firmly structured wine with concentrated tertiary flavours. The tannins remain firm, and subtly drying, on the long finish. Pair with hearty red meat dishes. Again, a serious bargain for the quality level. Planted on a southern facing slope, in fertile, red clay soils, this is a weighty, powerful wine. The 2009 vintage was particularly sunny and hot, making for an especially rich red. Fragrant aromas of macerated black and red fruits, mingle with violets, milk chocolate and spicy cedar nuances. Bright acidity leads into a full-bodied, dense and chewy palate structure, that thankfully broadens on the mid-palate becoming quite opulent and velvetty. Tannins are bold, though fine grained and cedar/ spice notes from the oak are present, but harmonious. This is the top, parcellar selection wine from Château Montus, sourced from a specific 11 hectare vineyard plot of red clay, with sandy sub-soils. We tasted 4 vintages of this superb wine (2006, 2008, 2009, 2010). 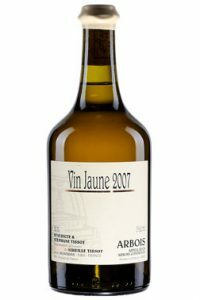 It is similar in aromatics to the regular Montus, with far greater complexity (more pronounced florality, herbal notes, graphite). While incredibly dense and firmly structured, there is an elegance here, matched with a fine balance of acid, tannin and concentrated fruit that suggests excellent long-term ageing potential. The 2009 and 2010 cuvées were particular favourites for me (scoring 95 and 96pts. LW consecutively). They require cellaring however, for the prominent toasty oak flavours to integrate. The past twenty odd years has been an exciting time in the winemaking world. So-called ‘New World’ producers have resoundingly proven that they can compete on the global stage, and a new generation of ‘Old World’ growers have emerged. This latter group is travelling more and embracing modern technologies; refining the styles of their wines as they go. The result is a blurring of the lines, whereby the clichéd characteristics of certain wines and regions no longer apply. Wines made oceans apart, in dramatically different climates and soil types, are surprisingly similar. While others, made two cellars down in the same village, bear little ressemblance. This situation has many traditionalists shaking their heads, and looking back longingly to a time when Chablis was Chablis, and nothing else came close. I’ll admit that, when blind tasting, the lazy part of me secretly wishes that all regional wines fit their textbook descriptions. And yet, how boring life would be for winemakers were they all to make the same wines as their neighbours. Rioja is a prime example of a region that has undergone significant stylistic changes in recent years. The stereotypical definition of ‘classic Rioja’ is a pale garnet coloured red, with soft red fruit, heavy American oak influence (vanilla, dill flavours) and a mellow, tertiary character from prolonged barrel maturation (soft tannins, leather and dried fruit nuances). 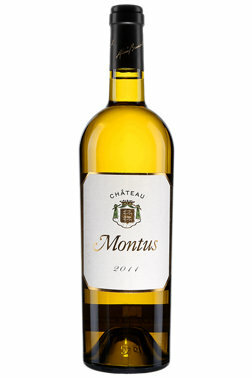 The traditional whites are heavily oxidized; deep gold in colour with nutty, honeyed flavours. At the opposite end of the spectrum, ‘modern Rioja’ is often inky dark in colour, with fresh acidity, ripe black fruit aromatics, firm tannins and French oak flavours (spice, cedar). Tempranillo is still king, but Garnacha (Grenache), Mazuelo (Carignan) and Graciano are bigger supporting players here. The whites now run the gamut from crisp, lean and unoaked through to full bodied, rich and lavishly oaked (the barrel maturation periods are shorter however, resulting in fresher, fruitier wines). The shift in styles may seem fairly radical, and does tend to cause a certain amount of nostalgic muttering amongst traditionalists. Yet when we look at the evolution of Rioja wines over the regions’ long history, it becomes apparent that change is the constant and not a recent trend. Prior to the 18th century, Rioja wines were not aged in oak. Barrels were used strictly as a means of transport for exported wines, and lined with resins that negatively impacted the flavour profile. It wasn’t until local vineyard owners began visiting cellars in Bordeaux and consulting with French oenologists in the mid 1800s, that barrel ageing came to Rioja. The practice quickly caught on, and increasing numbers of wineries began maturing their wines in French oak. The move to American oak came about as a cost saving measure in the early 19th century, as it could be imported cheaply from Spain’s overseas colonies and coopered locally. The duration of oak ageing became a gauge of quality, with soft, sweet vanilla scented reds ruling the pack. The ageing classifications of Crianza, Reserva and Gran Reserva only came about some forty years ago. Prior to that, consumers had little way of knowing how long a Rioja had slumbered in barrel. Vibrantly fruit, Beaujolais-esque reds co-existed with pale, mellow wines of 20 or more years’ oak maturation. And while the fashion for denser, riper fruited, fuller-bodied Rioja continues to gain traction, there remain a large number of stalwarts who continue crafting their wines along fairly classical lines (López de Heredia, CVNE, Marqués de Murrieta, Muga, Marqués de Riscal, just to name a few). These producers may not age wines in barrel for as long as they once did, and many now prefer a mix of American and French oak, but the mellow appeal and sweet fragrance are not lost. The wines have simply gained in freshness and vibrancy. Here are a list of great classic and modern Riojas to try from a recently attended tasting (What do VW, PW and LW mean? Click on my wine scoring system to find out). At just shy of 20$, this suave, beautifully balanced white offers fantastic value. Toasty, vanilla oak aromas are ably matched by attractive candied pear, honey and spiced notes. The palate is tangy and fresh, with a creamy, layered centre and bright fruit lingering on the finish. A mutation of the red Tempranillo grape, Tempranillo Blanco has only been approved for use in white Rioja wines since 2007. This lively example is laden with ripe, red apples, yellow pear and floral nuances. Medium bodied, smooth and moderately creamy, this easy drinking white boasts a long, delicately oaked finish. Attractive, spiced strawberry and candied cherry notes are underscored by earthy nuances on the nose. The palate is dense and firm in structure, with brisk acidity. A moderately concentrated core of tart red fruits lifts the mid-palate. The finish is framed by ripe, grainy tannins and subtle cedar, vanilla oak. Breaking away from the traditional Tempranillo led style, this tempting red is predominantly Grenache-based. Intense aromas of stewed strawberries, mixed spices and fresh, herbal notes feature on the nose. The palate offers wonderful vibracy, with nice depth of flavour and firm, yet ripe tannins. Hints of vanilla linger on the finish. Intense red cherry, strawberry and dark fruit aromas underscored by licorice and vanilla nuances. A fresh, lively attack leads into a broad, dry, grainy-textured palate of medium weight. 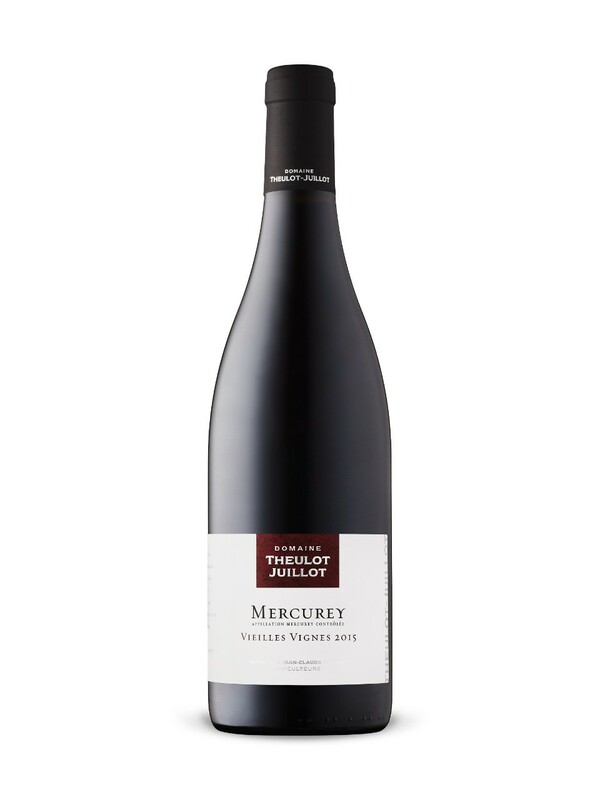 Tart red and black fruits linger through to the medium length finish. American oak nuances (vanilla, dill) are tempered with hints of spicy, cedar scented French oak. Elegant, yet somewhat restrained nose featuring prunes, baking spice, cassis and dark cherries. Upon aeration hints of citrus and fresh strawberries emmerge. The palate offers brisk acidity, a powerful, tightly knit structure and firm tannins. The finish is lengthy and nuanced, with lingering cedar oak notes. Needs time in cellar to unwind, or several hours decanting before serving. Pretty, fragrant nose featuring crushed strawberries, dark cherry and spice, underscored by earthy, leather nuances. Quite elegant on the palate, with fresh acidity ably balanced by the bright fruit. Slightly lean on the mid-palate, though finishes well, with fine grained tannins and nicely integrated toasty, vanilla oak. The elegant nose features ripe plum, blackberry, red cherry, vanilla and cedar notes, with hints of dried fruit, leather and spice developing upon aeration. Very silky and plush on the palate, with rounded acidity, full body and loads of ripe plum and vanilla flavours. The tannins are moderately firm, yet velvetty in texture framing the finish nicely. Only moderate concentration and intensity prevent an even higher rating for this, nevertheless, attractive Gran Reserva. Heady aromas of stewed strawberries, licorice and morello cherries are nicely counterbalanced by attractive earthy notes. Fresh and full bodied on the palate, yet already quite mellow with wonderful depth of flavour and a long, harmonious finish. The tannins remain firm, but the oak is already well integrated. Intense, highly complex aromas of tar, tobacco, dark fruits and floral notes are underscored by spicy, vanilla nuances. The palate is fresh, full bodied and dense, yet reveals a pleasantly fleshy texture with time in glass. A highly concentrated core of ripe, dark fruits lifts the mid-palate. The finish is somewhat impenetrable at present, with muscular tannins and pronounved toasty, vanilla oak. Needs additional cellaring (4 – 5 years minimum) to harmonize further.